Looks like Carl Icahn’s meeting with Apple CEO Tim Cook will occur before the month is out. 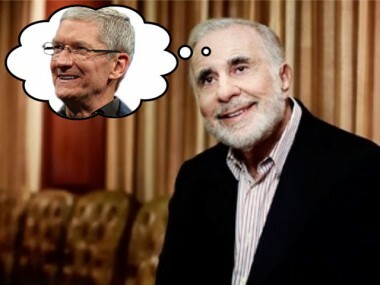 Icahn, who recently purchased a stake in Apple valued at more than $1.5 billion, is scheduled to meet with Cook next week, sources tell AllThingsD, confirming news first reported by CNBC. The meeting between the activist investor and the Apple CEO is scheduled for Monday. The topic of discussion: Apple’s share buyback program. Icahn has strong opinions on that subject. He believes Apple to be “extremely undervalued,” and has argued that the company should increase its buyback authorization beyond the current plan. If Apple were to buy back shares now by borrowing $150 billion at a three percent interest rate to fund the purchase, Icahn said, the company’s stock would rise far above the high $400s it trades at now. “If Apple does this now and earnings increase at only 10 percent, the stock — even keeping the same multiple currently — should trade at $700 a share,” he told Reuters in August. Apple presumably feels its buyback level is appropriate, and it’s hard to imagine it being convinced otherwise. Even with a stake as large as the one Icahn holds, the investor isn’t likely to have much influence on the way Apple allocates its capital. But who knows. Icahn’s not above picking fights with companies that don’t see things his way. And he can make plenty of trouble when he does.